Dallas Limo and Black car service is definitely your one stop shop for any kind of vehicle rental needs. One of the best services that we provide to you includes our sedan car service. who doesn’t love sedans? They are multipurpose, look good and are ideal for any person who loves driving or traveling. We make full use of this fact and provide you a variety of sedan car service DFW for a number of purposes. If you wish to know a few, you can go through the following given information. We provide our sedans to you on rent for airport transfers and this is definitely the best use of these cars. 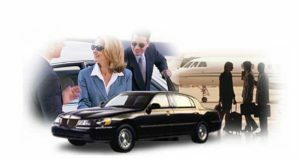 If you wish to reach the airport or take a car from the airport to your preferred destination, then you can book our sedan cars for the same. These cars are available in two options-with chauffeur and without so you can choose as per your convenience. Another purpose which our sedan car service provides is corporate transportation. If you have corporate guests coming to your city or to your workplace, then you can use our service for their transportation and convenience. 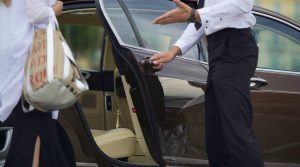 Just book our chauffeur sedan service and let them experience comfort and luxury together. You can choose your desired sedan car for the same. Just like airport transfers, you can also book our sedan car for hotel pick up and drop off. This is not just a great option for you but also for your guests. You can impress your guests by booking a swanky sedan and when it will go to pick them up from the hotel, they will be quite amazed. After all what is better than traveling in a sedan from city to hotel and vice-versa. Our sedan car service is also available for city tours while traveling. When you go to a new city, all you need is some comfort and this is what our sedans provide. You can book one for yourself when traveling to a city and enjoy the lovely views in the lap of luxury. 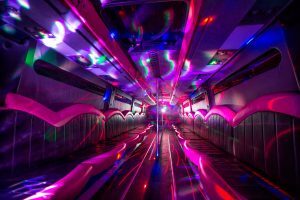 Now that you know the various purposes that our party bus hire service provides, you too can book it for yourself by contacting us. Dallas Limo and Black car service is your best shot if you are looking for a sedan on rent. Choose from a variety of sedan cars and models. So what are you waiting for? Call us today and book! 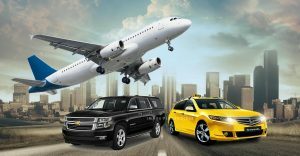 The first and most important reason why renting a taxi with us is a superb option is because we offer you a gamut of vehicle options to choose from. Yes, even while booking a taxi, you can select which kind and range of car you wish to travel in and this can be done by just talking to us over phone or contacting us through our website. It’s that simple! You get choice from vehicles like Mercedes, Audi’s, Limos and even hatchback cars. Another good thing about our taxi service is that it is priced very reasonably and less than most taxi services. Yes, you can save a great deal of money by booking your taxi with us since we charge minimal rates even for big SUVs and other luxury vehicles for rent. Our taxi service is valid for airport transfers and in-city tours and travels as well. Besides being cheap, our taxi service is also very easy to book. To book, all you need to do is to contact us through any of our contact methods like phone calls, email and online inquiry form. We will revert back at the shortest possible time to you and book your taxi for you. We provide this service at several spots and this too is another benefit that we bring to you. Dallas Limo and Black car service is one of the most user friendly services in town and your absolute ‘go-to’ option for all car or vehicle renting needs. Besides taxi service, we also provide chauffeur driven cars for multiple day rents, party bus hire service in Dallas, mini vans for tours and many others. So what are you waiting for? We are available at all hours and all you need to do is to log on to our website or simply give us a call. So do that today to book a vehicle. http://dallaslimoandblackcarservice.com/wp-content/uploads/2017/06/logo-2.png 0 0 DLadmin http://dallaslimoandblackcarservice.com/wp-content/uploads/2017/06/logo-2.png DLadmin2017-11-29 07:29:272017-11-29 07:29:27There is no place better for renting a taxi than us!